Glacial polish and deep grooves scoured into Devonian age limestone by forces of the Wisconsin Glacier. 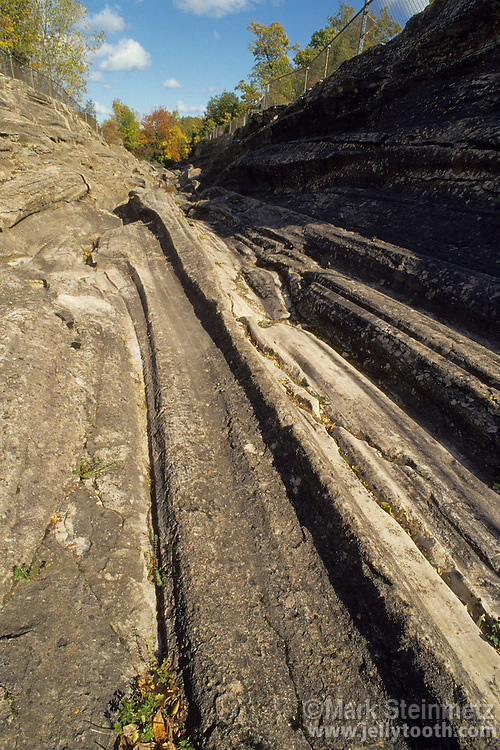 Glacial Grooves State Memorial, Kelleys Island (Lake Erie), Ohio, USA. A National Natural Landmark.